Easy Photo Denoise 3.0 was available as a giveaway on March 7, 2019! Easy Photo Denoise helps to reduce noise in photos made in the darkness or bad light, hand shaking or wrong ISO settings. If you have photos with excess noise, you can make them look much clearer with the help of Easy Photo Denoise. 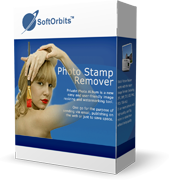 This batch photo noise reduction software effectively removes both light noise and color blotches that are usually caused by making shots with high ISO, shooting in the darkness or in motion. The program features image noise reduction mechanism based on artificial intelligence, offering a few presets for different shooting conditions. This noise reduction photo editor allows adjusting light and color noise, set smoothing radius and intensity. 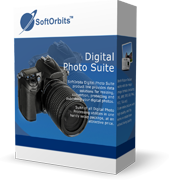 Besides image noise reduction you can adjust brightness, contrast, saturation and other graphic settings that turns this noise reduction software to a full-fledged photo post-processor. As a rule, noise reduction software ‘eats’ important picture details together with excess noise. Easy Photo Denoise utilizes artificial intelligence algorithms that effectively detect extra noise dots and smoothly replace them. This is the best noise reduction software for getting crystal clear pictures at the dark night even from budget digital cameras that lack professional settings. Selective photo noise reduction is much better than flat denoise offered by the most of today’s programs. How would you improve Easy Photo Denoise 3.0? "Denoise utilizes artificial intelligence algorithms that effectively detect extra noise dots and smoothly replace them." So is it Artifical Inteligence or is Algorithim based? if its using Algorithms it is not AI! I wish this company was in the UK... They'd have to prove the use of AI making wild claims like they do! Marketing department is given free reign to make up all sorts of pseudo technical clap trap: "Denoise utilizes artificial intelligence algorithms that effectively detect extra noise dots and smoothly replace them." So is it Artifical Inteligence or is Algorithim based? if its using Algorithms it is not AI! I wish this company was in the UK... They'd have to prove the use of AI making wild claims like they do! TK, It is likely that the authors of the description wanted to emphasize that some symbols and expressions are exactly the same as in the development of artificial intelligence programs. I printed an old 5 megapixel photo to 11 x 17 inches and the printers ( Epson CcMmYK, HP CMYK, and Canon CMYK, 2,400 to 3,600 variable-dot DPI ) completely eliminated any perception of any "noise" I thought I saw when looking at the picture at 100 % 1:1 pixels on a back-illuminated LCD screen. And when I reduced the image size on screen, I definitely couldn't see any "noise" anymore, so web sharing and slide shows on less-than-2 megapixels screens look "noise"-free. I guess "noise" is in the eye of the beholder, so to speak. My newer cameras have even more megapixels, so they're already being reduced even more for screen or printing.
. I printed an old 5 megapixel photo to 11 x 17 inches and the printers ( Epson CcMmYK, HP CMYK, and Canon CMYK, 2,400 to 3,600 variable-dot DPI ) completely eliminated any perception of any "noise" I thought I saw when looking at the picture at 100 % 1:1 pixels on a back-illuminated LCD screen. And when I reduced the image size on screen, I definitely couldn't see any "noise" anymore, so web sharing and slide shows on less-than-2 megapixels screens look "noise"-free. I guess "noise" is in the eye of the beholder, so to speak. My newer cameras have even more megapixels, so they're already being reduced even more for screen or printing. What "noise"? . Thanks for the link, though I have a couple of things to add to it of a FWIW nature... Read pro reviews before you buy a camera, or a phone for its camera -- the amount of noise in photos varies by make & model. A good review will also show the relative amount of noise at different ISO settings [for cameras that let you set ISO] -- in every review I've read that includes info on noise, noise increases with ISO, & in fact there's normally an ISO setting for the very best shots that's preferred by pros & enthusiasts for most every make/model. Sensor heat may also increase noise, e.g. a hotter environment or longer exposures. As the article rightly points out, noise reduction isn't a free process -- there are always costs -- so while many cameras have their own built-in noise reduction, it's often either turned off by default or set at a lower setting. It can be worthwhile to turn it up, or on, at least to see how it compares to software processing. That said, personally think Easy Photo Denoise is decent enough to give it a try on any noisier images, though you might want to also check out the Franzis denoise app. David, Thanks for the link, though I have a couple of things to add to it of a FWIW nature... Read pro reviews before you buy a camera, or a phone for its camera -- the amount of noise in photos varies by make & model. A good review will also show the relative amount of noise at different ISO settings [for cameras that let you set ISO] -- in every review I've read that includes info on noise, noise increases with ISO, & in fact there's normally an ISO setting for the very best shots that's preferred by pros & enthusiasts for most every make/model. Sensor heat may also increase noise, e.g. a hotter environment or longer exposures. As the article rightly points out, noise reduction isn't a free process -- there are always costs -- so while many cameras have their own built-in noise reduction, it's often either turned off by default or set at a lower setting. It can be worthwhile to turn it up, or on, at least to see how it compares to software processing. That said, personally think Easy Photo Denoise is decent enough to give it a try on any noisier images, though you might want to also check out the Franzis denoise app. Hmmm... I've never tried a denoise app on RAW -- I normally go Lightroom -> P/Shop where [if/when needed] I'll use the plug-in for the Franzis denoise app. [To me that's the biggest weakness of the SoftOrbits Denoise software, no plugin.] I had tried Easy Photo Denoise when it was on GOTD previously, and zoomed in on photos so I could see the noise, I did see an effect. Kuno, Hmmm... I've never tried a denoise app on RAW -- I normally go Lightroom -> P/Shop where [if/when needed] I'll use the plug-in for the Franzis denoise app. <i>[To me that's the biggest weakness of the SoftOrbits Denoise software, no plugin. ]</i> I had tried Easy Photo Denoise when it was on GOTD previously, and zoomed in on photos so I could see the noise, I did see an effect. Installed without a problem on Win 7 I had Easy Photo Denoise ver. 2.0 from the last time they offer it on GOTD. 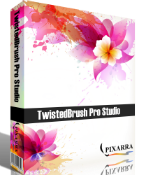 I also own with Photoshop, for simple tweets this software is much easier and faster to use. Thanks to GOTD and SoftOrbits for the offer. Order a license now and receive the Easy Photo Denoise registration key in 3 minutes! $ 11.99 from there site, poor program. Order a license now and receive the Easy Photo Denoise registration key in 3 minutes! Personal $ 11.99 from there site, poor program.